Alistair is Chief Thinker (and CEO) at Watch Me Think, a behavioural research company which he co-founded. Watch Me Think focuses on capturing actual rather than claimed behaviour via consumers on their smartphones. 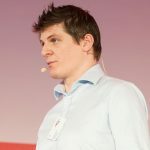 Previously he worked at Mintel, until he had an epiphany moment about the value of observational research and connecting employees to their consumers, whilst listening to Dr Nancy Synder from Whirlpool talk about washing machines (ask him!). His formative employment years were working the fry station at McDonalds, where he says he learned the value of process and timing, and as a shelf stacker at grocery retailer, Sainsbury’s, where he learnt very little, but loved making sure all the labels faced the front. In his spare time he eats cheese and watches rugby, sometimes both at the same time.